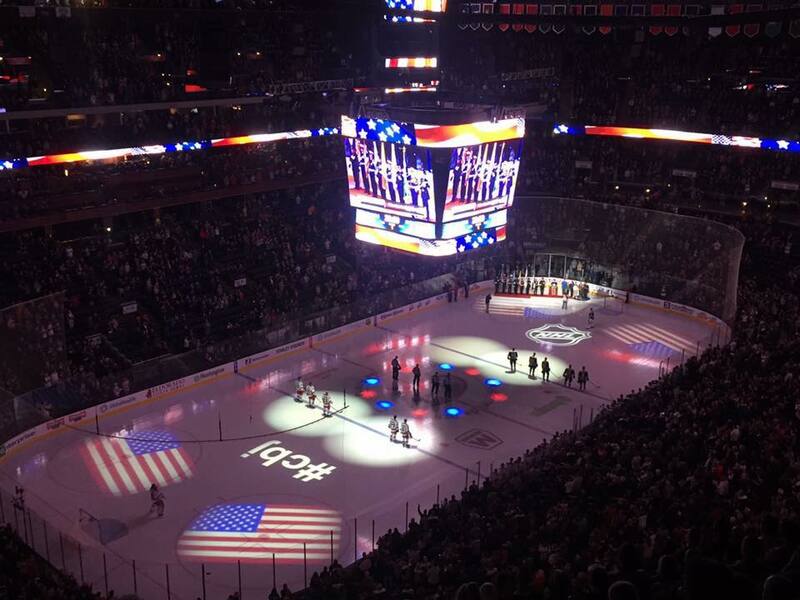 It was a great night on November 18 in downtown Columbus as the surrounding community and the State of Ohio poured into the Nationwide Arena for the annual Columbus Blue Jackets First Responders Night. Not only did this night honor Ohio First Responders, it also honored and recognized the National Law Enforcement Officers Memorial Fund. More than $4,000 were raised for the first National Law Enforcement Museum. The Blue Jackets hosted the New York Rangers and won in an exciting game with a final score of 4-2. Prior to the start of the game, the Blue Jackets observed a moment of remembrance for Columbus (OH) Police Officer Steve Smith and Hilliard (OH) Police Officer Sean Johnson as their families were recognized on the ice. Mounted police on horses welcomed fans outside Nationwide Arena while concourse attractions included a K-9 unit, a bomb squad robot, a CPR training station and a dress-up station where kids were able to try on police, firefighter and bomb squad gear. 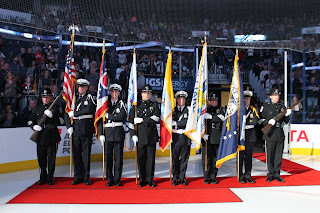 In addition, fans were treated to pre-game and first intermission performances by the Columbus Police & Fire Pipes & Drums, a group of active-duty or retired Columbus police officers and firefighters. Columbus Division of Police officer Alex Behnen and Gary Leister were given a personalized jersey from the team in a ceremony at intermission. They were honored for discovering two historical line of duty deaths that were not known or recognized locally or in Washingon, DC, at the national memorial. After the game Hilliard and Columbus police officers and their families were invited down on the ice for group photos. Blue Jackets' Cam Atkinson met the kids and parents in the locker room. 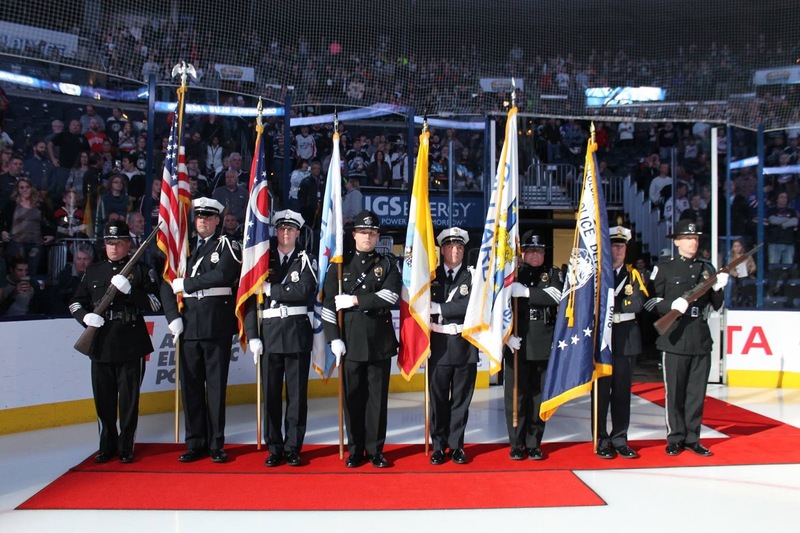 Our thanks to Malinda Smyth, the Columbus Blue Jackets and Nationwide Arena for saluting First Responders and the National Law Enforcement Officers Memorial Fund. Special thanks to the Ohio Association of Chiefs of Police, Ohio Fraternal Order of Police, City of Columbus Police Department and Bill Swank for their efforts in assisting with this event.